Walk into a Lowe’s store today and you many encounter a new kind of customer service associate—a robot roaming the floor to serve your needs. On your way there, you might speak directly to “My Starbucks Barista” app on your smartphone. She will talk you through ordering your favorite venti latte, which you then can pick up at a local store within minutes. These are only two examples of the ways AI, robots, and by extension, chatbots, which simulate human interaction, are being used in brick-and-mortar stores. The 2016 holiday gift craze of Alexa and Echo only scratches the surface of how machine learning and AI will continue to impact shopping in the near future. Traditional stores are harnessing these technologies to enhance customer experience and improve retailers’ bottom line. “AI is going to be like electricity or the internet—it's going to be foundational technology [for] which most things are built," says Kyle Nel, executive director of Lowe's Innovation Labs. Here are 6 ways AI and robots are changing up the retail game. Robots help customers find products in store and answer customers’ questions about product information. According to TimeTrade’s 2016 State of Retail Report, 90% of shoppers cannot always find the right person to help, and 85% of shoppers leave without purchasing anything when they cannot find the right person. SoftBank Robotics offers “Pepper” as a solution to attracting consumers as a point of contact. Successful in the Japanese market in over 1,000 Nescafé stores, Pepper provides customers with product information as well as entertaining content. In addition, Inc.com reports scenarios of Pepper in the U.S., “Capturing passersby's attention . . . at Westfield San Francisco Centre and Oakland Airport's Pyramid Taproom." Robots and AI help retailers keep real-time inventory. Since last year, Target has been testing inventory-taking robots in select stores throughout the U.S. “Tally” roams the aisles taking inventory, sending data through the proper channels to facilitate the inventory process. Lowe’s robot also rolls up and down the aisles auditing shelves, checking for proper stocking and pricing. Martin Hitch, CEO of Bossa Nova, the tech company behind Lowe’s robots, reported to the San Francisco Chronicle that “after three years of testing at Lowe’s locations in Pennsylvania, . . . the company is now ready to build full-time working models that should be in stores by 2017.” Artificial intelligence applications can also facilitate with inventory using predictive models based on past sales of products, events, marketing campaigns, etc. 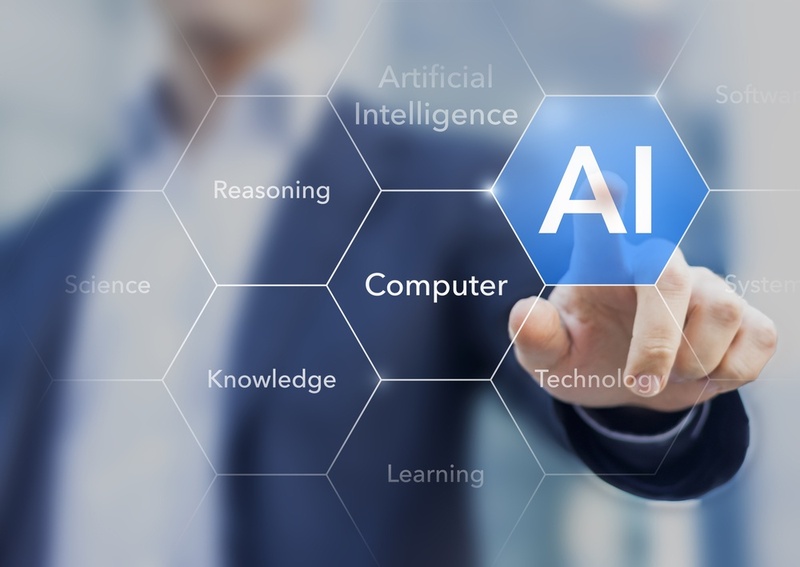 With inventory management often presenting challenges to retail companies and causing frustration among customers when inventory management fails, AI can be the solution that offers a win-win for both retailer and customer. AI can be used for personalization and customization. Scott Emmons, enterprise architect of the Neiman Marcus' innovation lab, tells Computer World, "A.I. would be the next obvious step with the personalization we want to do." In the same article, Marty Ramos, chief technology officer for Retail and Consumer Products and Services at Microsoft, further explains that retailers can use artificial intelligence to analyze shoppers' behaviors, and to help customers shop more efficiently and to help them buy what they need.